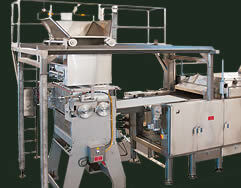 Casa Herrera designed and manufactures the Dough Chunker Feeder to get a precise dough feeding to the high speed extrusion type dough divider thus ensuring a continuous operation. The large 500 to 1000 Lbs. 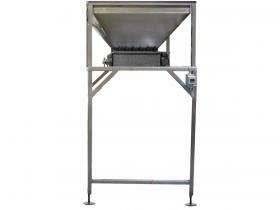 stainless steel, teflon coated, dough hopper provides a constant dough flow as required by the divider rounder. Double star cutter and automatic dough level sensor ensures precise dough and zero pressure portioning into the divider's hopper. Dough feeding consistency is important to get a consistent dough weight, and the Dough Chunker does the job right. 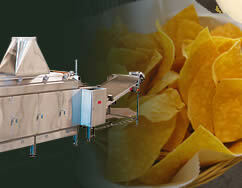 Available in 500, 800 and 1,000 lbs capacity. Casa Herrera is pleased to announce their schedule for the upcoming 2019 Tortilla, Flatbread, and Snack Food manufacturing trade shows. Please check below for updated booth information! 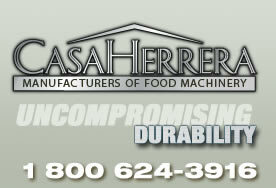 ..
Casa Herrera carries a range of used equipment. 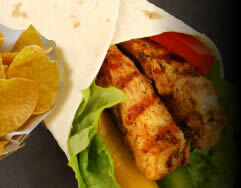 You can visit our catalog of used products on-line here..